Your hearing health is closely related with your drinking habits. It may take quite a few by surprise, but it is true. Drinking moderately doesn't cause any damage, but drinking heavily puts your hearing health at risk. Not many people are wary of the fact that drinking heavily contributes to develop unusual sensitivity to loud noise which makes you more vulnerable to noise induced hearing loss. Drinking damages the auditory cortex in the brain. Alcoholism causes a shrinkage in the brain, so even when ears are not dysfunctional, the brain is unable to pick up the sounds properly. Toxic environment caused due to alcohol damages the small hair cells that help to detect sounds, which makes such people more vulnerable to noise induced hearing loss. How to determine moderate and heavy drinking? Well, this is a good question. To put it simple: Someone who consumes between 1-13 drinks in a month is considered a light drinker, while those who take between 4-14 and more than that are considered moderate and heavy drinkers respectively. People who love to spend evenings in loud nighclubs and bars are more at the risk of noise induced hearing loss. Exposure to cigarette smoke, drinking and loud music can be a deadly combination that can affect your hearing health quite badly. Can Hearing Health be Regained? Well, there is no straight answer to this. For hearing loss treatment, you may need to consult a doctor. 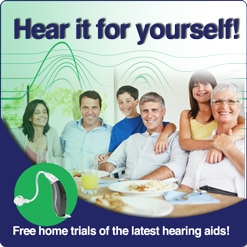 Since, prevention is better than cure; not allowing hearing loss to happen is the best hearing loss treatment.